Everyone has their means of transport. Some have a bike, some have a motorcycle, some have a car and some just skate. Yes, today we discuss how to ride a skateboard? You can skate easily to your destination of choice if it is not exhaustingly far from your residence. While providing you with wheels to roll on, skateboarding is known to be associated with weight loss, toning and muscle building, especially around the stomach. Most people have a rough journey while learning to skateboard, it is like learning to walk in a new manner according to some people. 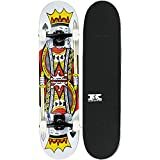 Lots of factors come under the spotlight when one is learning to find their skating feet but with a simple guideline such as this one you will be wheezing through the wind on your brand new skateboard in no time. 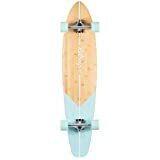 √ Some skateboards are expensive while others are fairly affordable when it comes to types of boards there is a skateboard and there is longboard. Longboards can be of many styles but you cannot do many tricks on them. √ You MUST have appropriate footwear and safety gear. Choose footwear’s with sturdy sides and flat bottoms and stay away from flip-flops. You can also skate in your regular sneakers. When it comes to safety gear it is ALWAYS wise to buy the best quality. With a little help from an online search engine, you will find your match or you can also visit a good skateboard shop. Safety gear will include a fitting helmet, elbow, knee and wrist pads. √ It is time to start riding. Find a level concrete such as a driveway or a parking lot. Stand straight on your skateboard with foot laid flat. Learn to balance without falling down. Stand with your feet angled sideways on top of the board, your feet aligned with the screws that attach the wheels to the board. I) Regular Foot: Regular foot encourages you to push with your right foot always, you place your left foot forward and right foot at the back. 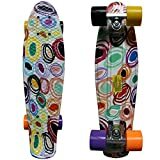 II) Goofy Foot: The Goofy foot is quite the opposite of regular foot, you push off with your left foot instead of right foot and place your right foot at the back of the skateboard. III) Rocking Foot: Rocking back and forth allows you to test your board, how much swaying it is capable of doing etc this is usually the way skaters get comfy with their boards. √ Flex your ankle and use your weight to turn the board. Once you’ve practiced pushing off and riding, try turning the board lightly by shifting your body weight. Ride with your knees bent, keep your center of gravity low towards the ground. Then, shift your weight forward to turn right then turn your ankles back to turn the board to the left. √ To stop the board all you have to do is put your foot down. If you have been riding speedily DO NOT just halt the ride. Start by slowing down with your foot gently touching the ground before bringing it to a seize.